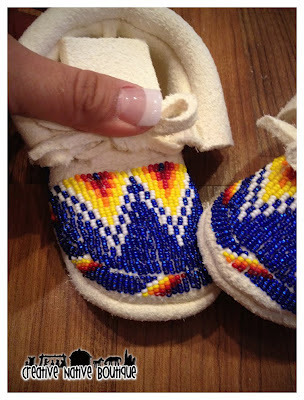 I love the sparkle of the dark blue. 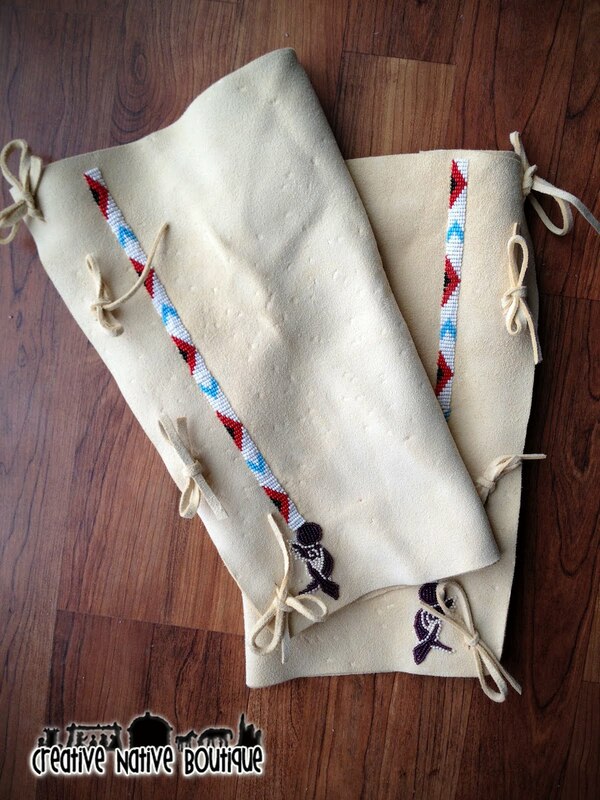 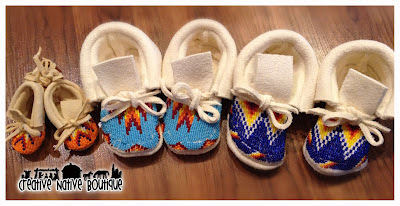 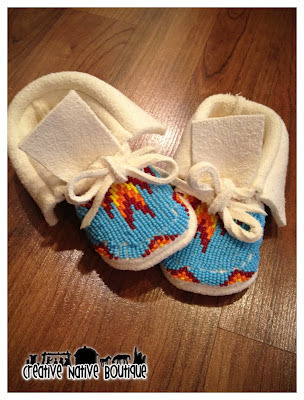 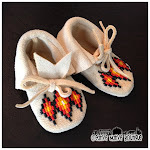 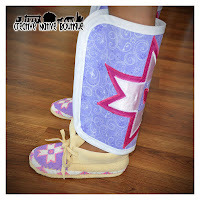 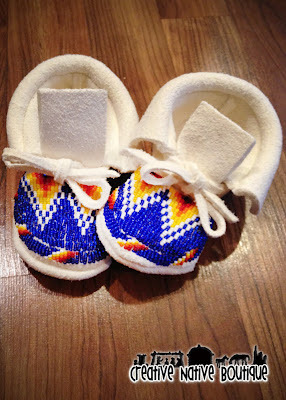 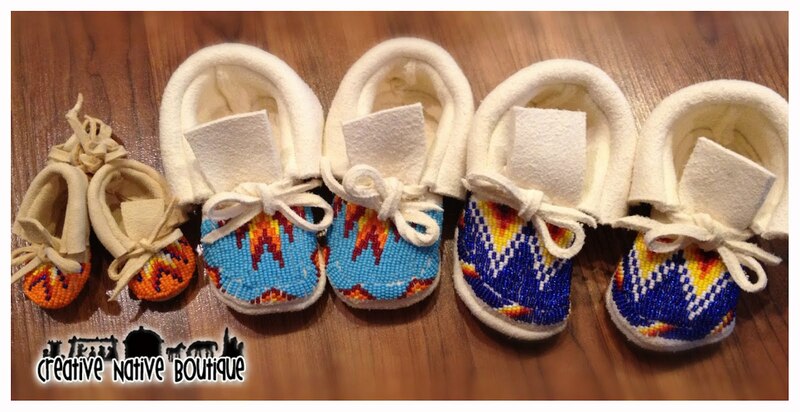 Perfect for that handsome little Native boy! 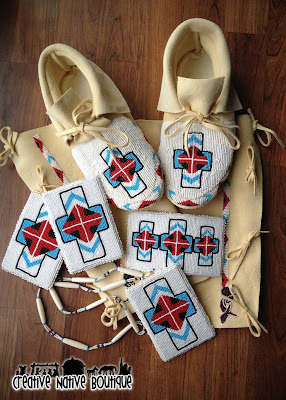 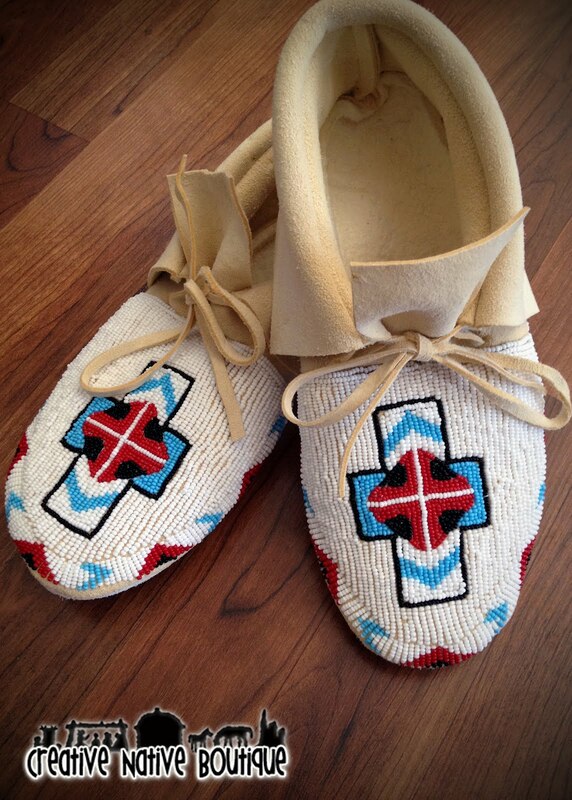 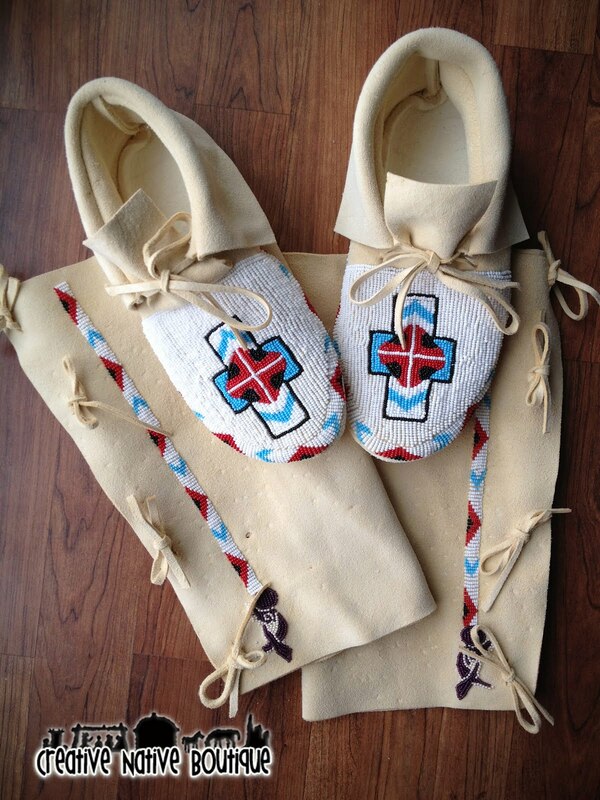 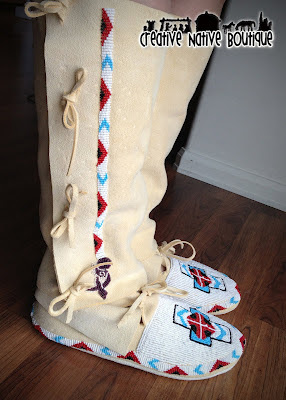 Women's Custom Fully Beaded Moccasins size 8.5. 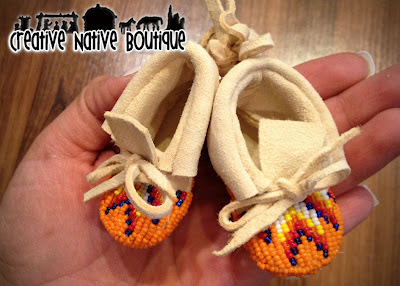 Buckskin Leggings to match, Large Barrette, 2 Lg. Barrettes, and necklace pendant.